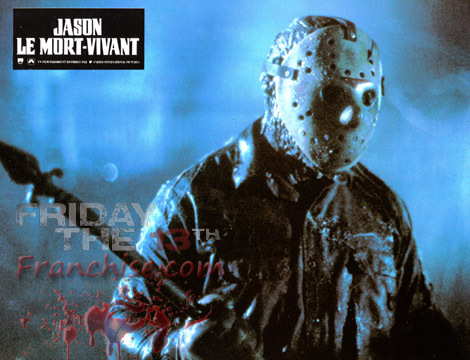 Part 6 Lobby Card. . Wallpaper and background images in the फ्राइडे द थर्टीन्थ club tagged: friday the 13th jason voorhees jason lives lobby cards horror movies slashers. This फ्राइडे द थर्टीन्थ fan art contains संगीत कार्यक्रम, गिटारवादक, गिटार खिलाड़ी, and गिटार प्लेयर.